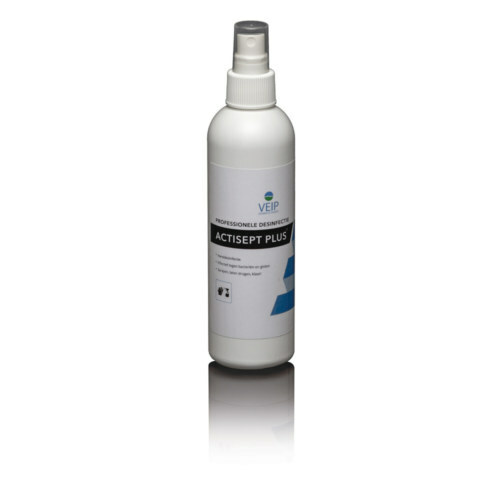 Actisept Plus is an effective hand disinfectant based on 70% isopropanol (alcohol). It can be used for hand disinfection in for example, the food industry, health care and veterinary sector. The special component (so-called back fatter) that have been added to the product prevents that the skin dries out too much. You can use it as often as you want and it does not leave any residue behind. 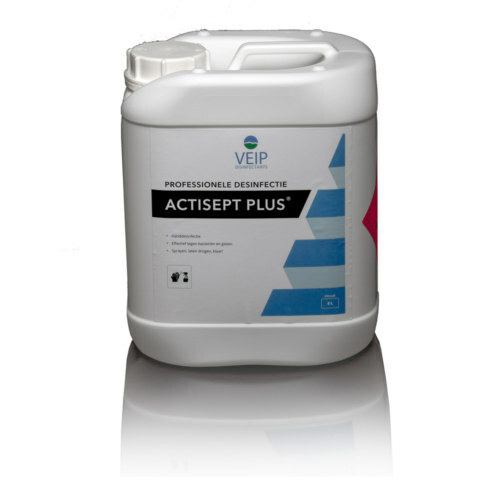 Actisept Plus eliminate bacteria and yeasts in human skin and is most commonly used for hand disinfection. The small spray bottle is convenient to carry, so you can disinfect hands where needed quickly: spray, let dry, done! The effectiveness is guaranteed by the high percentage of isopropanol, which has proven its effectiveness against bacteria, yeasts, molds and viruses. Actisept Plus ensures that the microorganism is irreparably damaged (the isopropanol causes a coagulation reaction in the organism (clotting reaction). Resistance is therefore not possible. Use biocides safely. Before use, read the label and product information. Available in 250 ml spray bottle and 5L package.